Today we’re not looking at a house, well not quite. 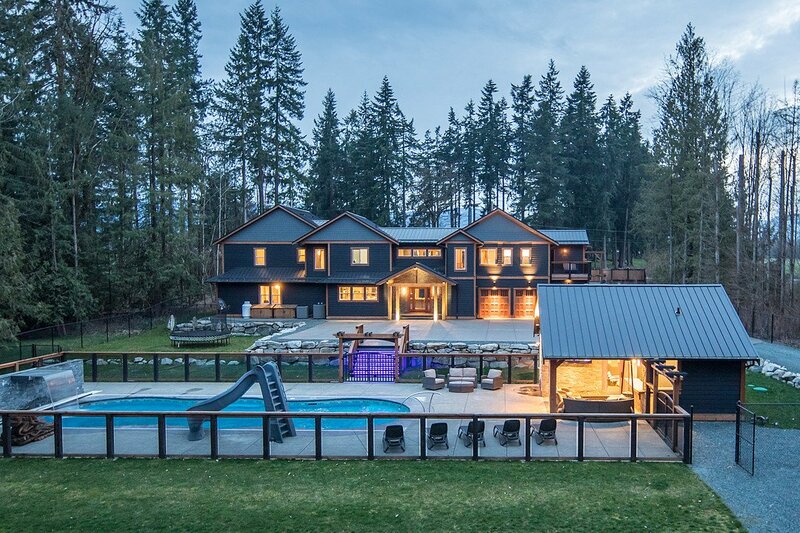 This home in Courtney, BC has one incredible feature that I have not seen done as nice anywhere else here in Canada. 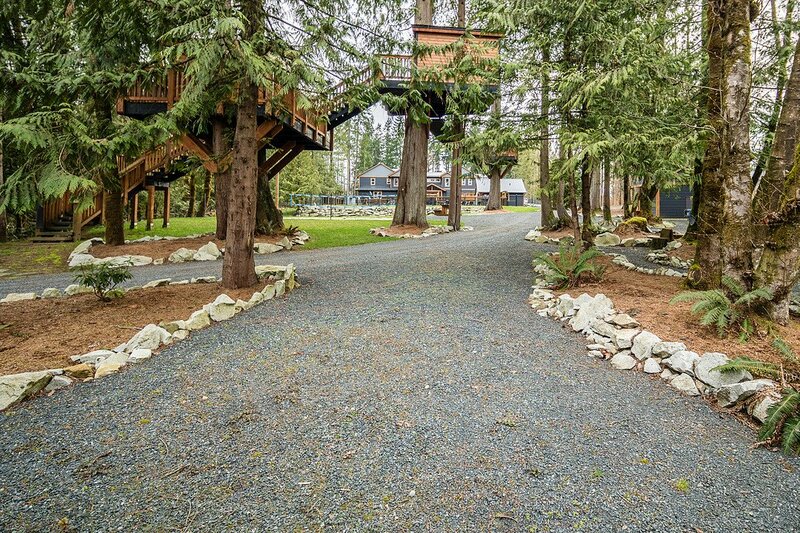 That feature is a massive, sprawling treehouse that comes complete with wifi and power. There are actually two separate houses high up in the trees here and they’re connected by a suspension bridge. We sadly only have a few photos to go on, you also get a glimpse of the treehouse in the video below as well. There is plenty of room for your kids and all their friends up here. The railings are high so that safety is a priority, no running on the suspension bridge I imagine! The overall house is the perfect west coast family home with all the bells and whistles. 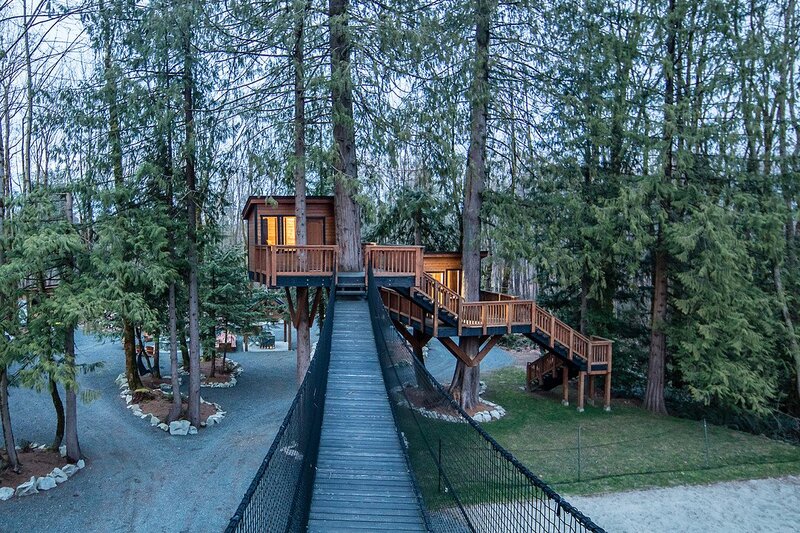 This incredible treehouse as well as the rest of the estate is on the market now for only $1,900,000 CAD with Sotheby’s agents Shane & Logan Wilson. Watch the video below and you’ll see the other fun areas for both kids and adults alike. The volleyball court is incredible and the pool is right next to it incase you need to cool off.